If you are looking for a well-equipped supermini with space, style and a modest price tag, the Kia Rio fits the bill perfectly. The sculpted contours of the aerodynamic design create a sleek, sporty look for the Kia Rio. The Rio comes in a range of stylish colours, including Graphite and Blaze Red. All but the entry level edition have alloy wheels. The inside doesn’t disappoint, with smart finishes and stylish upholstery. There is plenty of room in the boot to stow the family’s luggage, and bulky items can be transported by folding down rear seats. Even the entry level Rio 1 is well-equipped with air conditioning and front electric windows. A leather-trimmed steering wheel and gear knob are included on the Rio 2 and up, while the Rio 3 and First Edition also get heated front seats. Bluetooth music streaming is provided across the range, as is a USB charging socket, with an additional socket fitted in the rear of the Rio 2 and up. A dimmer switch on the dashboard allows you to set the illumination to your preferred level. The engine line-up for the Kia Rio includes a 1.25-litre petrol and a 1.4-litre petrol edition, both naturally aspirated, as well as a 1.0-litre three-cylinder turbo petrol engine. Alternatively, you could opt for the 1.4 CRDI diesel engine, with a choice of power outputs, either 76bhp or 89bhp. CO2 emissions are as low as 92g/km, while fuel efficiency is as high as 78.5mpg if you opt for the 76bhp diesel engine. All models are fitted with twin front, side and curtain airbags for your protection. Bi-function headlights enhance the illumination of the road ahead, making it easier for you to spot any potential hazards. A lane departure warning system monitors your position within the white lines, and alerts you if you drift across the lines without indicating. Trim 2 and up also benefit from Autonomous Emergency Braking technology, which activates the brake when it detects a collision risk. The Kia Rio has been named the 2017 winner of the prestigious Red Dot Award for design. The criteria include innovation, form and functionality. 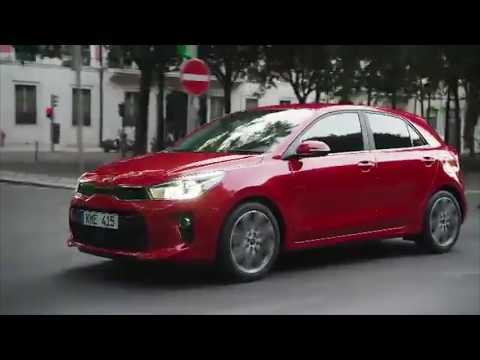 Call us today to find out more about the Kia Rio and to make a booking for a test drive. Our expert advisors will be happy to answer any questions you have about the Rio and our current deals. Since the Kia Rio launched, it's setting Pulses racing faster with this Limited Edition model, available in Clear White or Midnight Black. The Rio Pulse is easily distinguished by a red roof and red front vents, mirror caps and side skirt trims which is certain to catch the eye. A similar theme is extended to the interior, where there is black and red faux leather upholstery and red faux leather door inserts. The fascia trim is finished in a red metallic paint. The look is coupled with 17-inch ally wheels, a black radiator grille with chrome surround and privacy glass on the rear windows. Inside, the sporty leather-trimmed steering wheel and gearshifter are complimented by stainless steel pedals. This model is the most technologically advanced Rio to date, the Limited Edition model has many exciting features to keep you comfortable and relaxed. To begin, In-car entertainment and connectivity is taken care of by a six-speaker audio sound system and a five-inch colour touchscreen linked to a DAB radio with RDS messaging. You wont have to take your hands off the steering wheel when there is Bluetooth with music streaming, front and rear USB charging points, a reversing camera with dynamic guidelines, rear parking sensors and 3.5 inch cluster display. Other advanced technologies dedicated to looking out for your safety include Electronic Stability Control, Vehicle Stability Management, Hill Start Assist, Straight-Line Stability and Cornering Brake Control. Available in branch, the Kia Rio is set to be a popular choice for Sussex drivers. Contact us in branch today to book your test drive today and experience this model for yourself.